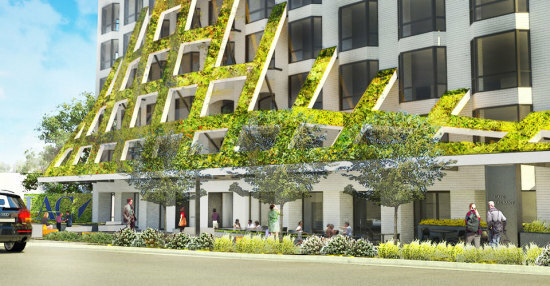 What’s a cross between a green roof and a living wall? IAC, the company that brought you Frank Gehry’s billowing building by the High Line in New York, is commissioning Rios Clementi Hale to “drape” its white brick building on Sunset Boulevard in West Hollywood with a six-story sculptural steel lattice—like a living roof turned 45 degrees— containing native plantings irrigated by recaptured underground water. 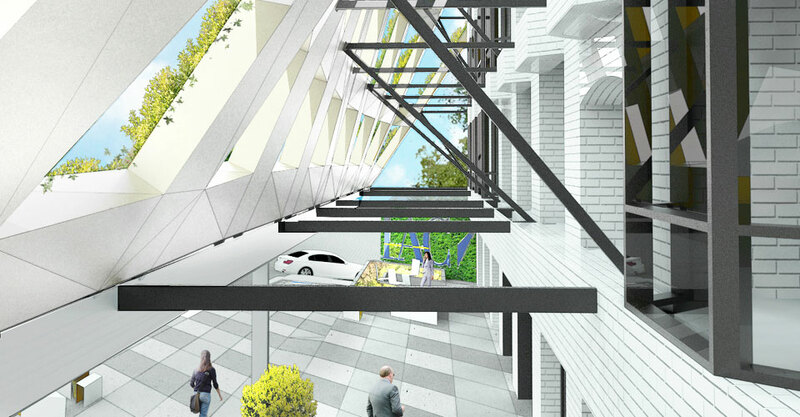 Tall vertical troughs will protrude as much as 14 feet from the building face. 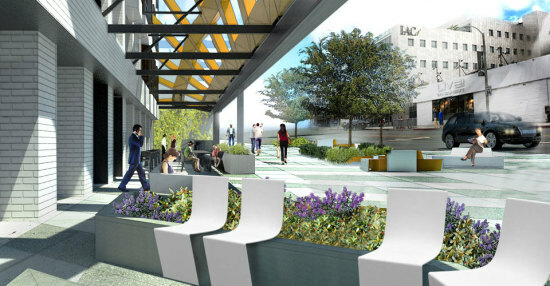 At ground level a public space will be added to the building’s entry plaza, fitted with steel-plated benches and bike racks. 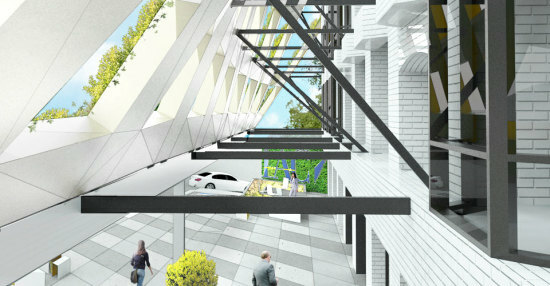 On the west side of the structure, the grid will flatten to become a green roof over a new restaurant. The installation’s native plants will be chosen by Paul Kephart of planted roof specialists Rana Creek. At night the gridded structure will be lit from behind, so light will shine through the plants. 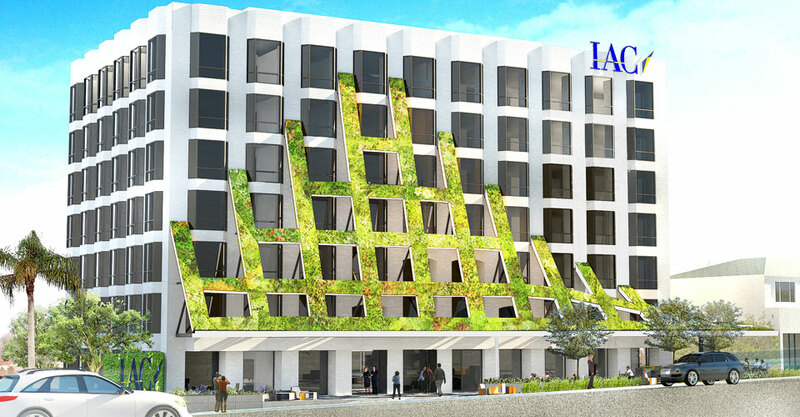 The project, already under construction, is expected to be completed later this year.